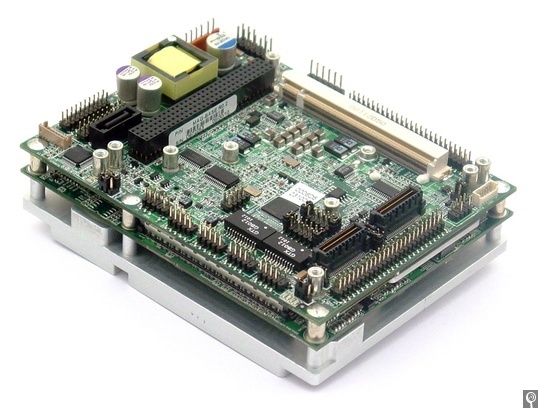 The Magellan single-board computer (SBC) from Diamond Systems matches the footprint of the popular COM Express computer-on-module (COM) standard. Its CPU consists of a COM Express CPU module with several power/performance choices of CPUs available. The system uses conduction cooling for improved ruggedness and reliability via a heat spreader mounted on its bottom side. This design makes room for integrated dual gigabit Ethernet LAN ports, a +7-36 V DC/DC power supply, a full set of peripheral interface header connectors, stackable PCI-104 or SUMIT card expansion, and a FeaturePak zero height expansion socket, in addition to a complete embedded PC core. The SBC is able to fit all of this within the 95 by 125 mm COM Express footprint. Magellan runs Linux, Windows XP, Windows Embedded Standard, and Windows Embedded CE, with all OS drivers shipped with the product. Magellan is offered in a range of models that vary according to the choice of COM Express CPU module and SDRAM capacity (socketed or soldered-on). Magellan LC models come with only +12 VDC input power, but have no DC/DC power supply. Magellan is intended for use either as a highly integrated embedded component or as a platform for application development and reference designs.